All the trivia and oddities that you need to know. So you've reached InuSEC, short for Inuyasha Scripts & Episode Capsules. So let’s set things straight. SCRIPTS are, well, scripts. Transcripts of the animation to be exact. Forget episode summaries, which doesn’t tell you what goes on exactly. An EPISODE CAPSULE is a collection of reference notes, quotes, things that you always wanted to know (or not) about each episode, and little things that other people noticed that you might have missed out. The Oddities and Other Notes section contains funny or odd trivia about the show. Here's a great one to show you what we mean. Cleaned up some out-of-date links, and general site maintenance. And reopened the guestbook. June 23, 2010: Inuyasha Jar is complete! 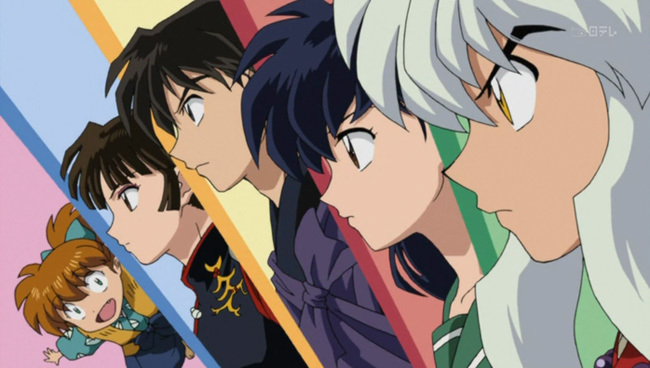 Omer kindly sent the screencaps for EP145 & 146, and the Inuyasha Jar is finally complete! Hugs!! Hey, I wanted to know if the episode transcripts will be continued now that the Final Act has fully aired and easy to stream in the English Dub. Will they? I love to read this blog post.